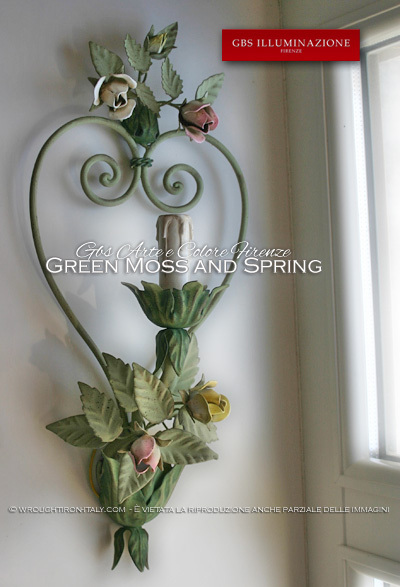 Romantic sconce with forged iron heart and small bouquets of roses and buds. Shades of green moss and spring, roses in pastel colours. 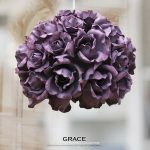 The sconce is in hand-decorated wrought iron, entirely manufactured in Florence, from design to realisation, from the first to the last component, because GBS products are the only ‘Made in Italy’ that can be called so.